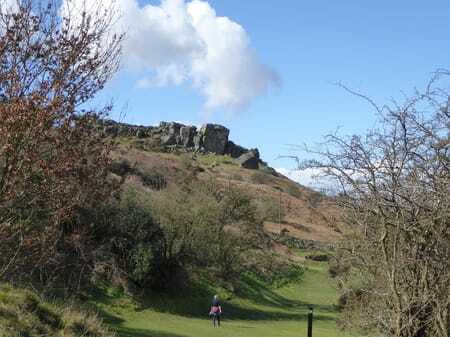 Introduction: This walk takes you past the hamlet of Stead and across Ben Rhydding Golf course to the famous Cow and Calf rocks before turning back towards Burley via the edge of Ilkley and Burley Moors. At various points during the walk are fine views across the Wharfe valley to Askwith, Denton and Beamsley moors. 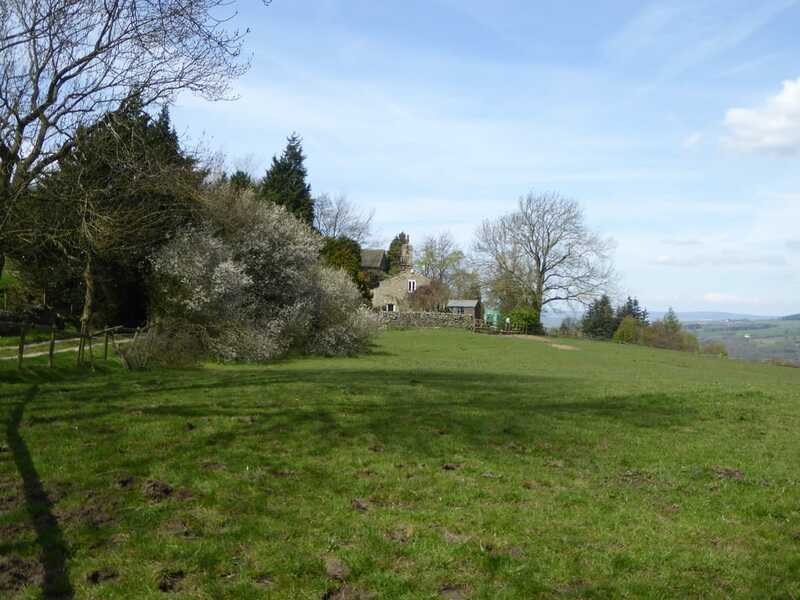 The landmark of Beamsley Beacon is clearly visible, as is Almscliff Crag. Stead (and the nearby hamlet of Burley Woodhead) formed an 18C township. Indeed, Stead could have been a Roman outpost on the Adel/Ilkley Roman road. At one time it had a hall or manor but now only the farmstead remains. In the 16C, the manor belonged to the Knights of St John. Stead Hall Farm and Low Stead Farm are Grade II listed. The Cow and Calf rocks are composed of millstone grit, and the quarry behind is popular with climbers. A curiosity on the return is Pancake Rock, an unmistakable flat slab hanging somewhat precariously. On its surface are several “cup” markings which date back probably to the Bronze Age. Their purpose is unknown. Unfortunately the markings are very worn by the weather but are visible if you look closely. The walk has an abundance of refreshment opportunities. The first is the restaurant at Clevedon House. Next is the Cow and Calf Rock Café and Cow and Calf Hotel. On the return, you pass within yards of Bleach Mill House which offers soft and hot drinks and cakes.